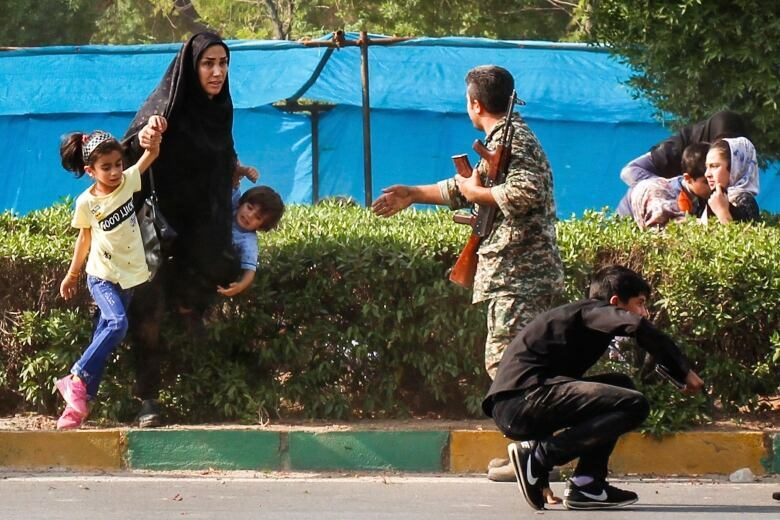 Gunmen disguised as soldiers attacked an annual Iranian military parade Saturday in the country's oil-rich southwest, killing at least 25 people and wounding 60 in the bloodiest assault to strike the country in recent years. 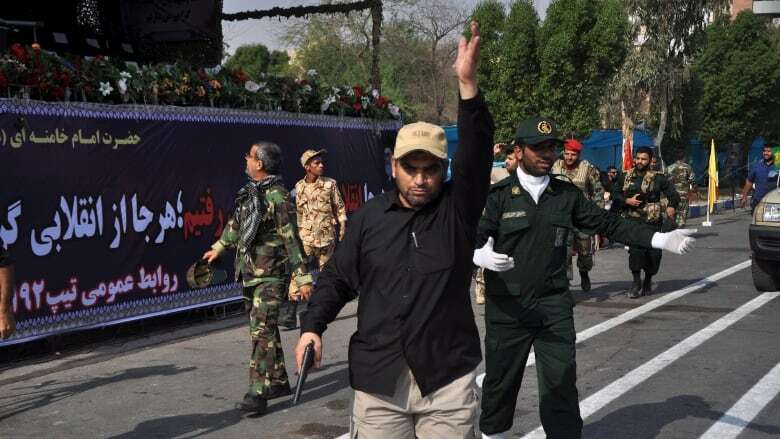 Gunmen fired on a military parade in southwestern Iran on Saturday, killing 25 people, almost half of them members of the Revolutionary Guards, state news agencies reported, in one of the worst attacks ever on the elite force. The bloodshed struck a blow to security in OPEC oil producer Iran, which has been relatively stable compared with neighbouring Arab countries that have grappled with upheaval since the 2011 uprisings across the Middle East. The Islamic Revolutionary Guards Corp (IRGC), the most powerful and heavily armed military force in the country, have been the sword and shield of Shia clerical rule in Iran since its 1979 Islamic Revolution. State television blamed "Takfiri elements," a reference to Sunni Muslim militants, for the attack. Ahvaz is in the centre of Khuzestan province, where there have been sporadic protests by minority Arabs in predominantly Shia Iran. "They are not from Daesh [Islamic State] or other groups fighting [Iran's] Islamic system ... but they are linked to America and [Israel's intelligence agency] Mossad," he told state news agency IRNA. Tensions between mainly Shia Iran and mostly Sunni Saudi Arabia have risen in recent years, with the two countries supporting opposite sides in wars in Syria and Yemen and rival political parties in Iraq and Lebanon. The attack occurred a day before Rouhani heads to New York to address the annual UN General Assembly next week. "Rouhani will use the terrorist attack to justify Iran's presence in the Middle East ... 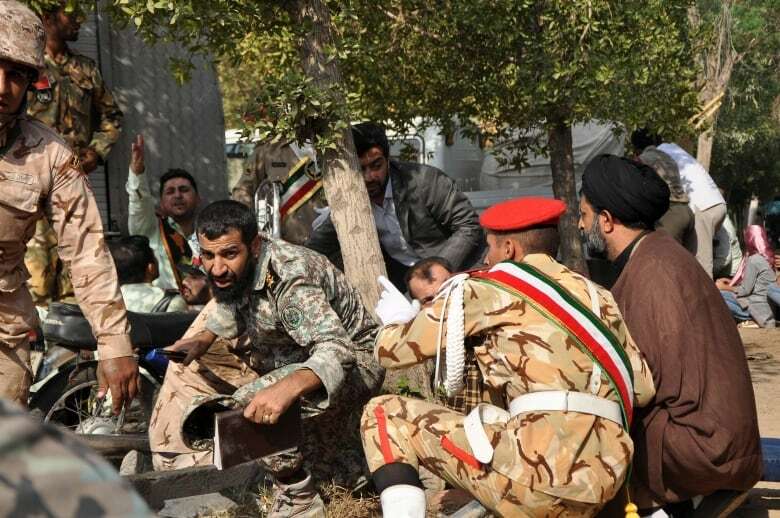 The attack will strengthen the IRGC's position inside Iran and in the region," Tehran-based political analyst Hamid Farahvashian said. Hardliners like the IRGC have gained standing at the expense of pragmatists in Iran's multi-tiered leadership since president Donald Trump decided in May to pull the United States out of the 2015 international nuclear deal with Tehran and reimpose sanctions, in moves to isolate the Islamic Republic.